Who are the Belgium internationals that Palace boss Alan Pardew has his eye on? So Alan Pardew admitted this week he likes the look of "one or two" of Belgium's squad as potential signings for Palace. The Red Devils (yes, really) are the outsiders choice for the tournament thanks to a pretty decent array of attacking options at their disposal, packed with stars of the Premier League, France's Ligue 1 and La Liga in Spain. And in his Daily Mail column this week (no, we're not hyperlinking back to it), Pards admitted: "I've seen a fair bit of Belgium as one or two of their players interest me as potential signings for Crystal Palace but they are still looking for their best team and seeking their ideology, a bit like England." But who is he after? Here are five players we've picked out that we think could be on Pardew's wishlist. The 22-year-old striker has long been linked with a move to Palace so this would seem like a sensible place to start. He only signed a new contract at Marseille in January but his club have confirmed he will be leaving this summer, and probably heading to England. He's been linked with plenty of clubs in the Premier League, not just Palace, like Arsenal, Tottenham and West Ham but much like Yohan Cabaye last summer, the Eagles would be able to guarantee him a first team place. Plus he can finish! Check out the goals in the video above. If it's not Batshuayi then it may well be Benteke that Pards is after. The big Belgian striker has failed to make an impact at Liverpool and by all accounts Kop boss Jurgen Klopp prefers fellow Belgium striker Divock Origi (although more than likely will also dip into the transfer market for a new forward this summer). Would Palace be able to afford Benteke's wages? That's up for debate but, again, like Cabaye last summer there is money to be played with and a guaranteed starting place at Selhurst. And yes, we would forgive him for that dive if he joined. Moving into defence there are a couple of players Pardew might want to look at, considering his Palace backline will need an update some time soon. 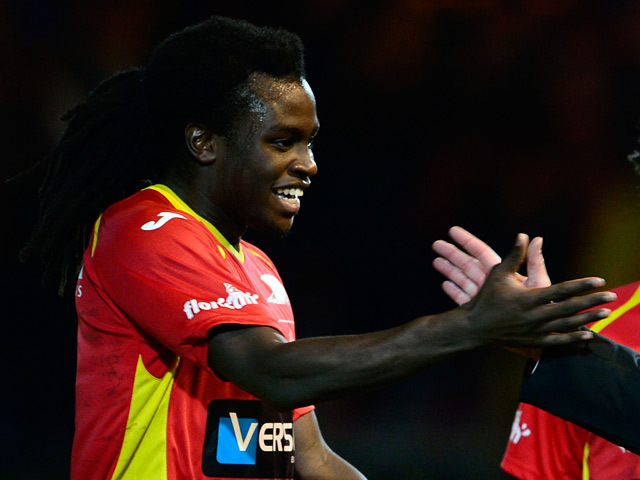 Firstly, there's left-back Jordan Lukaku, who is the bother of Everton striker Romelu. He currently plays for KV Oostende in the Belgian top flight but has been linked with a move to the Premier League this summer. With Pape Soaure's form being fairly inconsistent last season if Pards wanted a new left-back he could do worse than Lukaku. His style is similar to Soaure's in that he loves to bomb forward but like the Senegalese international he makes mistakes defensively, with Belgium coach Marc Wilmotts publicly calling him out on this recently. Billed as the next Vincent Kompany, centre-back Denayer has massive potential despite being only 20. He is on the books at Manchester City but has spent the past few seasons out on loan, most recently at Galatasaray where he impressed. Back in 2013/14 he won the SPL title with Celtic and was voted the league's Young Player of the Year. His chances at City and with Belgium probably depend on Kompany's knees but he could well be the man to replace Damien Delaney should Pardew want to do that. Should Palace sell Yannick Bolasie this summer there could be a ready made replacement in this guy. A replacement winger AND a replacement Yannick. Yes, Carrasco plays for Atletico Madrid and is highly rated but never underestimate the pull of the Premier League. He's only 22 and of course has been linked with the big boys in England but only a few clubs like Palace could offer him guaranteed first team football. Who do you want to see at Palace next season? Comment below!